The first retail store opened by James Cash Penney was not named JCPenney, in homage to its founder. 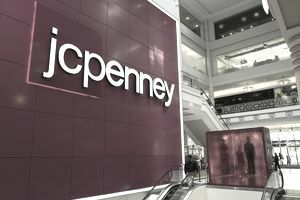 Rather the first store James Cash Penney opened was named in homage to the principles upon which one of the largest U.S. retail chains was built. When reading the most quotable quotes from one of the most famous leaders in the U.S. retail industry, it's clear that the business principles and the personal values of James Cash Penney were one and the same. Penney's first dry goods and clothing store was called “The Golden Rule” for one very important reason. Penney believed that the Golden Rule applied to all aspects of life, and he was driven by a mission to build a retail business using the Golden Rule as its philosophical cornerstone. Reading through the most quotations about business principles from James Cash Penney, it's obvious that leadership character was equally as important to him as profits. Both what he achieved and how he achieved it was equally important to Penney. In 1913, “The Penney Idea” was drafted, outlining Penney’s business values and principles. More than 100 years later, the company’s “Winning Together Principles” were guiding employees at all levels, perpetuating a principle-centered business with values that extend far beyond the basic task of generating profits. These business quotes from James Cash Penney reveal the original values and principles that guided the founder as he was building what would become one of the oldest American retail chains, and one of the most valuable U.S. retail brands in the history of U.S. retailing.